Chris Harper-Mercer (Umpqua Community College shooting, 2015) – opened fire at Umpqua Community College October 1, 2015 in Roseburg, Oregon, killing nine of his classmates and wounding nine others before committing suicide as police closed in on him. Mercer, 26, singled out Christians, shooting students brave enough to pledge allegiance to their Christian faith. Mercer, whose mother said he suffered from Asperger’s syndrome, a mild form of autism, had a history of mental illness and was institutionalized in a psychiatric hospital after failing to take his medication, reported The New York Times. 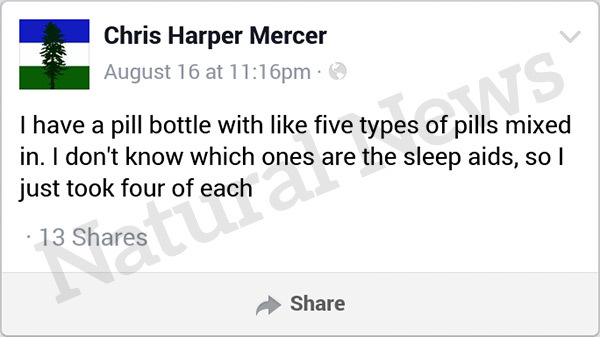 In a Facebook post on August 15, 2015, Mercer said he had “a pill bottle with like five types of pills mixed in” and didn’t know which ones were sleep aids, so he ended up taking four of each. Like other mass killers, Mercer idolized previous school shooters, seeking the fame they received from the mainstream media. He mentioned in online postings the massacre at Sandy Hook Elementary, and Vester Flanagan, a disgruntled employee who shot and killed a Virginia television news reporter and cameraman at his former news station in August 2015 , according to the LA Times. Obsessed with getting recognition, Mercer wrote that it seems the more people you kill, the more limelight you get.